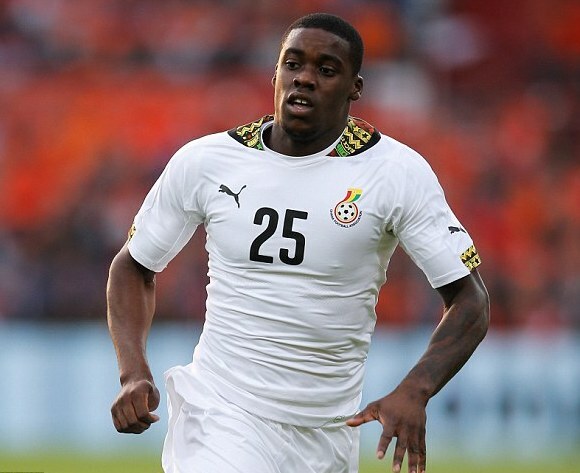 Jeffrey Schlupp has reacted to the goal that was credited to him during Ghana's 1-0 win over Kenya in the final game of the 2019 AFCON qualifier on Saturday evening. Ghana inflicted a painful 1-0 defeat on the Harambee Stars of Kenya at the Accra Sports Stadium. The four-time Africa champions had to wait until the 83rd minute to win the game through debutant Caleb Ekuban. The result ensured Ghana finish the series as group winners, two and eight points above the Harambee Stars and Ethiopia respectively. Interestingly, Ghana and Kenya both secured qualification tickets for the final tournament in Egypt before Saturday's game. But there was a bit of confusion about the scorer of the West Africa giants' goal as several news portals including CAF and Crystal Palace websites credited the goal to Jeffrey Schlupp. However, the 26-year-old took to his twitter handle to clarify the report - indicating that he was not the scorer.